In Chromebook land, a lot of the focus is on Google's recently-announced (and expensive) Pixelbook. 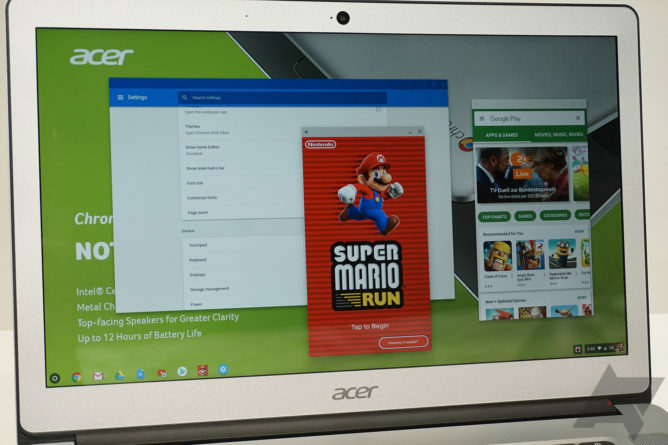 But for those of you who cannot stomach the $999 starting point of Google's latest, then you might want to consider what Acer has on offer. 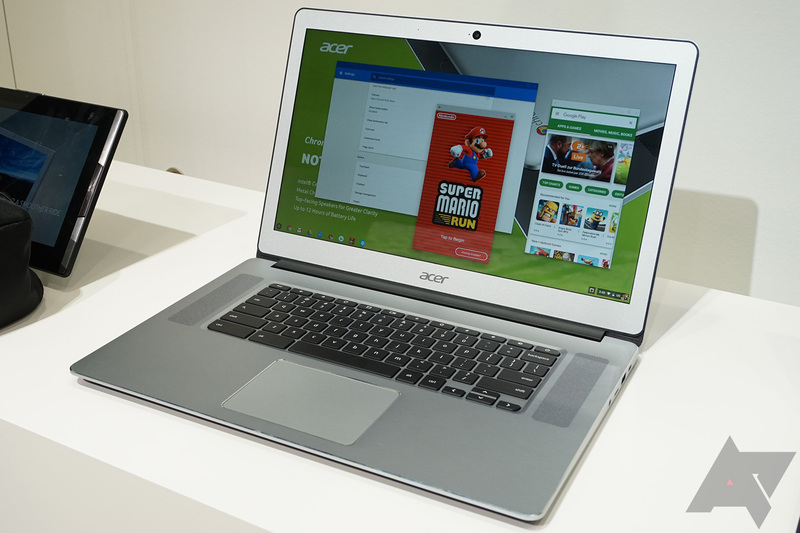 The new Chromebook 15, model number CB515-1HT, is now up for sale via Best Buy and Acer's store for $399. For $399, you get a 15.6" 1080p touchscreen IPS panel, a Pentium N4200, 4GB of RAM, 32GB of eMMC storage, and a ton of battery life. I actually have this Chromebook in for review right now and my initial impressions are quite positive — I've been using it for a lot of work- and school-related things and I really enjoy it. The mostly aluminium body (the bottom is plastic) feels solid and the trackpad works very well. 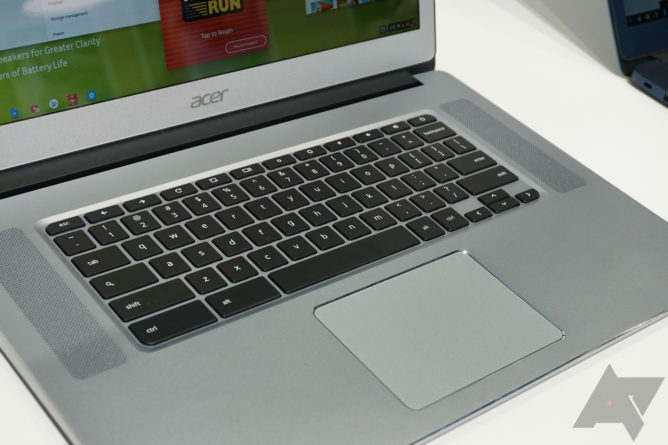 Announced at IFA, Ryan was able to grab a quick hands-on with the Chromebook 15, which you can check out here. One of the major highlights here is that this laptop can run Android apps right out of the box, which is even more awesome with the touchscreen. Unfortunately, this laptop is not a 2-in-1 hybrid, so keep that in mind. "The Chromebook 15 model we sent you is now for sale at Best Buy. This config is a Best Buy exclusive, and the only one we’re offering right now. More configs will come, but we don’t have that info at this time." If you're interested in the Chromebook 15, you can check it out at either of the source links below. More configuration options, like one with 8GB of RAM or 64GB of storage, might come to the U.S. later, but we don't know that at the time of writing.